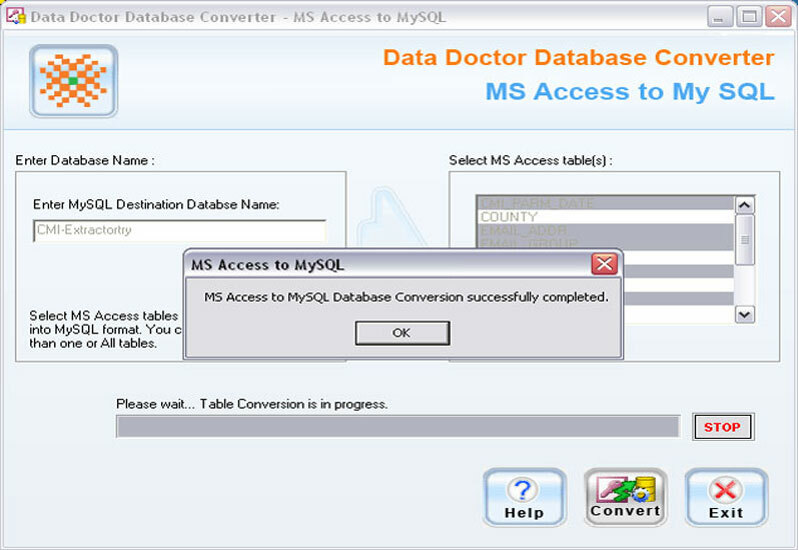 MS Access to MySQL database converter software convert selected or entire MS Access database record to MySQL data base server. Perform database record conversion even for password protected MDB (Microsoft Database). Application software provides one-to-one (MS Access to MySQL) conversion of database by either merging conversion database with already present database or creates new database location for storing the converted data. Utility tool provides easy-to-use wizard style interface for all major version of MS Access. Easily converts MS Access database records to MySQL database server. Software converts password protected database MDB file in an easiest and quickest way. Effectively converts selected database or entire Data Base depending on user’s choice. Overwrites MS Access database with existing MySQL database or create new database for the converted database records. Wizard style interface supported data base converter software supports all data types and attributes. Maintain database integrity on all major versions of MS Access server. Download free demo of the MS Access to MySQL database converter Software from the link given below to fully understand the software functionality. Upon satisfying you can order for the full version.